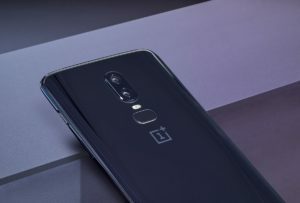 OnePlus 6 has always been the best choice for enthusiasts, the company has always managed to provide flagship grade features at a much lower and affordable price but this time a true flagship has entered its territory. 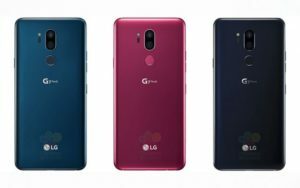 LG G7+ ThinQ which after a long sleep finally launched in India at a great price of Rs.39,999 the same price tag OnePlus 6 top model comes in, so let’s compare and see which device you should go for. Both LG G7 and OnePlus 6 are both well build devices and both companies made sure both phones are 2018 ready. Both share a same design language glass back and front with a metal trim around the body. Tall displays with a notch, a vertical dual camera set up at the back with a fingerprint sensor just below the camera, here we find a difference as LG G& has a circle shaped fingerprint sensor like most of the phones while OnePlus has this curved rectangular one, which helps distinguish between them though I would say LG one has more surface area than OnePlus 6 which makes it easier to use. Another difference between them would be the popular OnePlus alert slider which many people find of great use, while LG comes with a button mapped to google assistant just like Bixby button on galaxy devices, but on LG it’s for launching Google Assistant which many would prefer. Now on to why I would give the win to LG G7 waterproofing. LG G7 comes with IP 68 water and dust resistance certificate, which is something a smartphone must come within this day and age though OnePlus 6 claims to be splash proof or something but the fact that it’s not certified and so I need to give this one to LG for extra benefit of waterproofing. Now in this segment, it’s really hard to compare both the devices OnePlus 6 comes in with a 6.28 Inch notched AMOLED display with 83.8% screen to body ratio while LG G7 comes with a 6.1 Inch notched IPS LCD display with 82.6% screen to body ratio. Both come with a Always-on display functionality. one plus 6 could have an easy win in this one as they are using an OLED panel instead of LCD one, but the fact OnePlus 6 comes with a much lower resolution 2280×1080(19:9) giving it a lower pixel density of 402ppi while LG G7 comes with a resolution of 3120×1440 and giving it a pixel density of 564ppi which makes images on LG G7 looks more crisper at top of that LG G7 comes in with support for HDR standards like HDR 10 and Dolby Vision which makes video viewing experience on this device a bliss to watch. Also the fact that LG rectifies one of the biggest problems of LCD displays ‘the outdoor visibility’ with something they call as a super bright display which pushes the brightness of the display to a whopping 1000 nits for few minutes is something we have never seen before. After considering all these factors win again goes to LG this time. For this one, I’m going to take the 8GB version of OnePlus 6 as it is the same price as that of LG G7+ ThinQ. Both the phone comes equipped with Octa-core Snapdragon 845 SoC with Adreno 630 just like any other flagship phone this year, which is actually good you find these devices fast and snappy with no lag of any kind. Though the difference comes in memory where LG G7 comes with 6GB of RAM which many people will find ample for there using the OnePLus 6 comes with 8GB of RAM which is highest for the smartphone right now. Both devices also come with 128 GB of internal storage but LG G7 also provide you with the option of expandable storage via microSD up to 2TB though good luck finding a card of that size. Though both devices look near identical in specs the difference in performance comes through the display OnePlus 6 needs to push nearly half the number pixel as that of LG G7 which in theory makes OnePlus 6 faster, also the OnePlus 6 software is closer to stock unlike graphic heavy UI on LG phone. 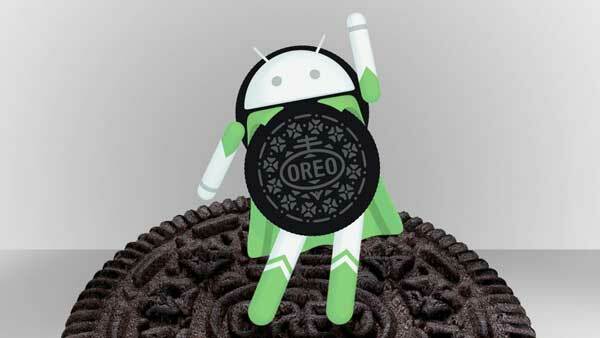 In this department, both phones have taken a completely approach the Oxygen OS based on Android 8.1 oreo is clean and gives you a near stock experience with some small tweaks here and there which is a golden standard and makes sure updates roll faster. While LG has gone with it’s highly customized LG UX on android 8.0 Oreo though it’s planned to update to android 9.0 pie. LG approach makes it harder to roll updates faster just like Samsung but this heavily customized software comes with benefits of their own they are highly optimized and run smoothly and are snappy. They provide some great functionality which stock android adapt years later like split screen LG users were enjoying this feature since 2012 while stock android got it through Android N in 2017. Also, LG is bringing its new AI platform under the name of ThinQ branding which is very limiting as of now. Though its hard to say winner here will go with the Stock experience of OnePlus. This segment is the one for which most of the people were waiting for which got the better camera. Both phones come with a dual camera setup but their approach is completely different. LG comes with their popular dual camera setup with two 16 MP Sony sensor one is our standard sensor with f/1.6 aperture and OIS and the second one is a wide-angle lens which makes it hard to move on from LG phones that wide-angle photography has always been a plus point for LG. The front camera is of 8MP and can record 1080p videos @60 fps. Both cameras support portrait or bokeh effect. Now on to one plus and they are making me confuse more and more now, OnePlus 6 comes with a 16 MP Sony sensor with f/1.7 aperture and OIS while the second camera is a 20MP shooter which is there only to help with bokeh effect, OnePlus has constantly been changing their camera strategy but now it makes less sense than even OnePLus 5T which had the second camera for low-light photography. While front selfie shooter is a 16 MP one which can shoot videos at 1080p @ 60 fps. Moving on both cameras comes with full manual control on photos and videos and can support 4k videos @ 60 fps(LG G7 had a software update last month). But it is LG which can shoot and playback the videos in HDR which is a big plus for the device also LG has some more features to play around like focus zoom, which specific zooms at a target in video rather than zooming at center like other phones, this is a great effect. LG also bring AI functionality to its camera under the ThinQ branding which automatically detects objects of the scenes and apply a filter to the shot accordingly which many people will find useful. Overall, I would go with LG in this one because of that wide-angle camera which is simply great for photography and video shooting and hope OnePlus figure out its camera setup. This is a segment which could be only talked when talking about LG flagship devices. OnePlus 6 and LG G7 both retains a headphone jack and that is great, but also LG comes equipped with a Quad Hi-Fi DAC which when paired with good headphones gives an audio experience which is unrivaled by the rest of the industry if you are an audiophile LG G7 is the phone for you. Also this year LG is bringing its Boombox speaker where what LG has done is that it has made the body of the phone act as a resonance chamber thus amplifying the sound of the device this makes speaker on LG G7 far superior to that of OnePlus 6 also you can put down LG G7 on a surface and it gets even louder. Combining the phenomenal audio and HDR screen your Netflix experience will be mouth-watering. All these power, all these long gaming sessions but can your phone last through all this. Yes, if you go with either device. Though OnePlus 6 comes with a bigger 3300 mAH battery than LG G7 3000 mAh battery both are non-removable and can be charged with a fast charger. Though OnePlus will last longer thanks to that low-resolution display and even charge faster because of that Dash Charger, which is fastest in the industry. Though I will complain about the fact that OnePlus 6 doesn’t come with wireless charging even after adopting glass back, whereas LG G7 comes with wireless charging though you need to buy a dock for that. After all this comparison and both phones competing toe-to-toe with each other. I will go with LG G7+ ThinQ which I find to be a much better phone overall Water-proofing, the better camera set-up, HDR display and that phenomenal audio experience is pulling me towards this phone. In past, these all features could be ignored for the OnePlus lower price and raw power but this year that doesn’t seem to be the case.